I'm having a slightly difficult time at the moment. Not really, but I've just had a whole load of weeks with almost bewilderingly good control. I have a blog post brewing called something like 'How much I love my Accu-Chek Expert' that I'm hoping to add later this week. “And even the constant need for decisions might be tolerable, if only the results were predictable. Few things generate burnout like the awful frustration of having followed instructions and done everything just right and still to be failing to get the diabetes into control. At those times it seems no use to continue to try. 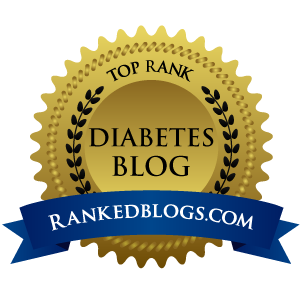 I replied to a forum thread today, and only as I was posting did it strike me that I've completely changed the way I view my blood glucose target range in the last year or so. 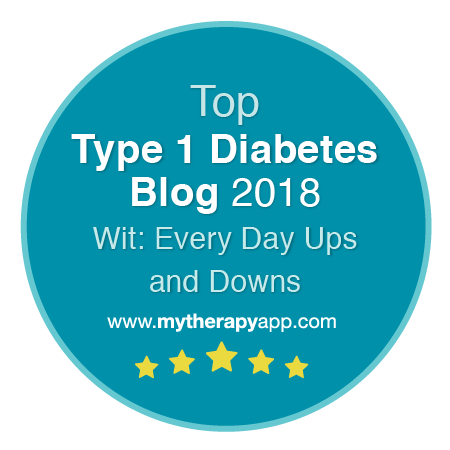 A mother with a teenage type 1 diabetic daughter was expressing concern about the extra fingerstick blood glucose tests, basal testing etc that would be part and parcel of her move to pump therapy. She then said she had to text to remind her daughter to do a test, and text back the results. It made me wonder how that felt for a young person. Whether they would feel that the tests were for them at all. And then I realised that was exactly how I had felt about these things too. 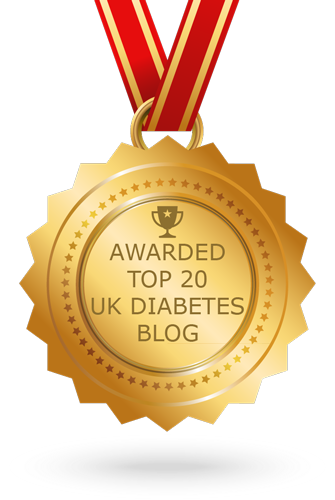 The recommended levels for adults with type 1 diabetes in the UK are 4-7 mmol/L (72-126mg/dl) before meals and less than 9mmol/L (162mg/dl) by two hours after meals. This is, frankly, a tiny target to try to hit. To be honest the permitted percentage of inaccuracy on a BG meter is 10%. So the meter itself is only accurate to one sixth of the target range some of the time. I've had 20-odd years of consultants telling me that I was 'doing fine', but 'should try to have not quite so many highs and avoid those lows'. I've always just smiled through gritted teeth at such comments. "There speaks a person" I would say to myself, "who has never tried to guestimate the carb load and absorption rate of a meal, and tried to match it precisely with the activity profile of an insulin injection, taking into account any abnormal activity level during the day." If they wanted me to hit their stupid target, they should have made the darned thing a bit bigger. In a small, but incredibly crucial way though, my mindset has changed. The shift was so slight I only noticed it when trying to look at the same issue from someone else's point of view. The range, is still as tiny, but it is now my range. Whereas before I would grumpily think, "well that's just impossible... I'll aim for 4-12, but for you to ask me to do any more than that is just unreasonable" I now see 4-9 as my target for me. I've never tested so much in all my 20 years with diabetes as I have over the last 14 months. I've never voluntarily gone without so many meals to check on my basal insulin's activity. 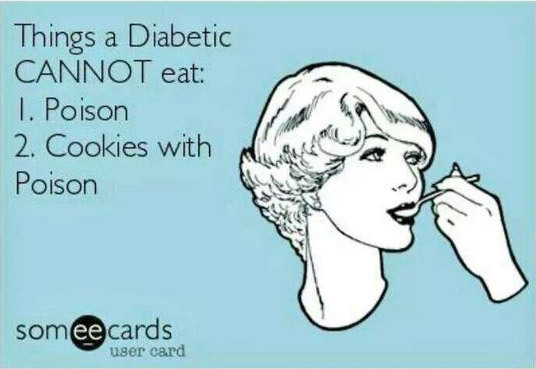 In all likelihood I would not be doing so without meeting other diabetics online. Diabetics who hit their own tiny target ranges. Not every day, but often enough to prove that it is at least possible. Once you understand that the target (whatever you decide that it is) is your own, all the effort required to aim for it, and let's not pretend that is isn't a LOT of effort, somehow becomes much easier. Edit: Just re-visiting this post after several years and I have realised that in the time in between I have altered and changed my targets on more than one occasion. And this is fine too. Currently I'm finding 4-10 gives me less opportunity to berate myself over high readings with an additional soft lower limit of 5 which I will treat as if low to give myself a little more wiggle room. What's important is that I feel these are what I have decided to do for me. Not some impossible nonsense handed down from on high.